Attempts to bring the AAP and the Congress together started more than a month ago with a meeting at Maharashtra politician Sharad Pawar's home, where Mamata Banerjee also urged Arvind Kejriwal and Rahul Gandhi to get talking. Rahul Gandhi was warned that alliance with AAP would hurt the Congress in the long run. 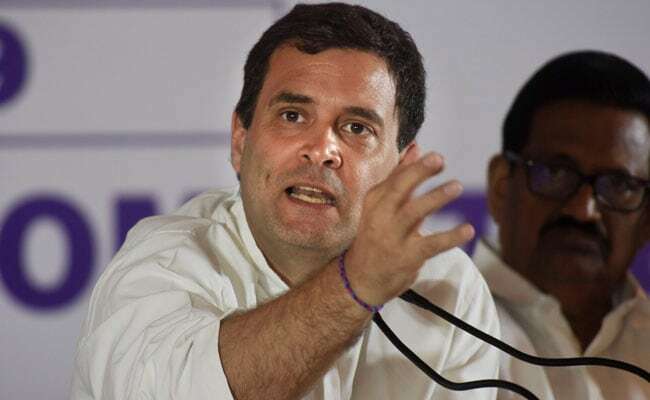 After months of back-and-forth, the Congress today made it official and final - the party will have no alliance with Arvind Kejriwal's Aam Aadmi Party (AAP) in Delhi for the national election that started on Thursday and will be held in six more rounds. The two parties had even arrived at a pact for Delhi - four seats for AAP and three for Congress -- party leader PC Chacko said today. "The Congress president had given me assignment clearance to go and discuss with AAP. The political necessity is we should come together and defeat the BJP," Mr Chacko told reporters. "The leadership of Congress in Delhi had apprehensions. They all were persuaded and we finally discussed with AAP. Sanjay Singh and we had discussions." The Congress leader said AAP was adamant that along with Delhi, the two parties should also have tie-ups in Haryana and Punjab. "The situation differs from state to state. Delhi is an ideal situation where AAP and Congress can come together. We arrived at a pact also. AAP wanted to discuss Haryana and others," Mr Chacko said. "It is neither practical, nor feasible. Even today, we are ready for an alliance with AAP." Sheila Dikshit had warned Rahul Gandhi and his mother Sonia Gandhi in a letter that an alliance with Mr Kejriwal's party would hurt the Congress in the long run. The talks crashed over AAP's insistence that Haryana and Punjab be thrown in as part of the alliance deal. Arvind Kejriwal, the Chief Minister of Delhi, said he would not need Congress's help to win the seven seats in Delhi but a tie-up would help limit the BJP in Haryana and in Punjab.